The business of healthcare has entered a new era that leaves communicators and leaders with the daunting challenge of keeping employees focused, committed and engaged in what can feel like the eye of a hurricane. The good news is that better employee communication can help a great deal. Through our work with countless healthcare companies – from pharmaceuticals to hospitals to community organizations – we’ve seen what works in effectively navigating the storms. 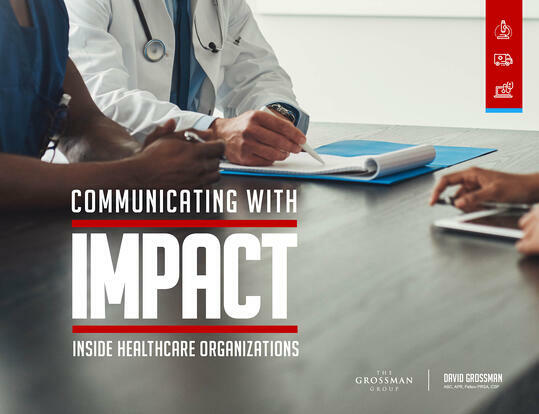 Download—Communicating With Impact Inside Healthcare Organizations—by filling out the form to the right. See why good employee communication can improve an organization's success by turning strategy into action.